THINK BIG! 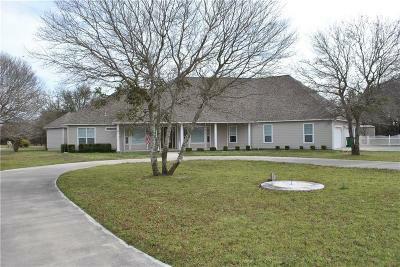 Texas sized, this gorgeous, very spacious 4, 622 Sq ft home has enough room for you, your kids, your parents and even grandma. Sits on 2 acres in a prestigious neighborhood, with a green house, shop with electricity and a very large fenced back yard. Open concept living, dining and kitchen, 4B, 3B, large study with beautiful shelving, large laundry room with plenty of cabinets, sink and ice maker. Covered patio and porches perfect to enjoy the outdoors, close to the park and walking trails. If you have a large family or you just like a lot of space, this is the home for you. Call me today 254.842.8521. Thank you for visiting today. If this is your first visit, take your time and look around. We have plenty of information and resources available to you. If you are a return visitor, thank you. We'd love to hear from you and tell you how we can serve all your real estate needs, including assisting buyers find lending when needed.